READY TO START MY JOURNEY!!! one month (and almost 11 pounds) later, I have more energy, my clothes fit better, and I'm getting back to myself again"
"My "wow" moment came when I put on a pair of pants I haven't tried on in almost 2 years. I had my mom take a picture & then I did a side-by-side in a collage. Wow! How had I let myself go so long? I couldn't stand the person I had become & the picture was embarrassing. I started at Iron Core on April 17th, and one month (and almost 11 pounds) later, I have more energy, my clothes fit better, and I'm getting back to myself again. The team environment and support and motivation from Kris and the other adults is awesome!" "It's only been 2 months at Iron Core and I have gone down 3 pants sizes!" I have belonged to many different gyms and health type centers but from the moment I walked into Iron Core Athlete I knew it was different, it was the type of place I was looking for. I didn't want to be in a corporate gym setting with a hundred people that kept to themselves. With Iron Core I got a family. Kris and Kerianne have far exceeded my expectations. They are there for me and every other member, with motivation, accountability, and rewarding workouts. The group of people I work out with are so supportive and encouraging. They check up on me if I miss a class, give suggestions if I'm struggling with any aspect of the process and most of all, they make working out something I look forward to. It's only been 2 months at Iron Core and I have gone down 3 pants sizes! Joining Iron Core Athlete was the best decision I could have made for myself and my health. "I have lost 2 pant sizes. I have more energy and feel better about myself"
"Ironcore Athlete isn't a gym, its a commitment, a lifestyle and an addiction"
Ironcore Athlete isn't a gym, it's a commitment, a lifestyle and an addiction. If you want to build strength, you will work, and more importantly you will be held accountable. After being part of this group for a short time I already see a difference, and I now know I'll never belong to "just a gym" again. "I am stronger, more fit and I lost around 20 lbs"
I have been going to Iron Core Adult classes for a little over a month. I started a month after many others in my class but I jumped right into their more advance routines. I am happy I pushed myself. I am stronger, more fit and I lost around 20 lbs. Kris makes every workout a challenge. The others in the class are like family. We challenge each other every day. I would recommend this to anyone who needs the push and encouragement to get to their goals. "Since joining Iron Core, I have a renewed sense of being"
As a professional working mother and wife, I had long lost a sense of who I was, who I am. Work and family was all I knew for many, many years. My identity was nothing other than Nick's mom or Hailey's mom. Since joining Iron Core, I have a renewed sense of being. I have found myself again. I am having the best time of my life. I feel incredible. I'm stronger than ever, both physically and emotionally. I'm getting my shape back and I truly love my new Iron Core Family. Thank you for all you do for us and for all you give to the community. 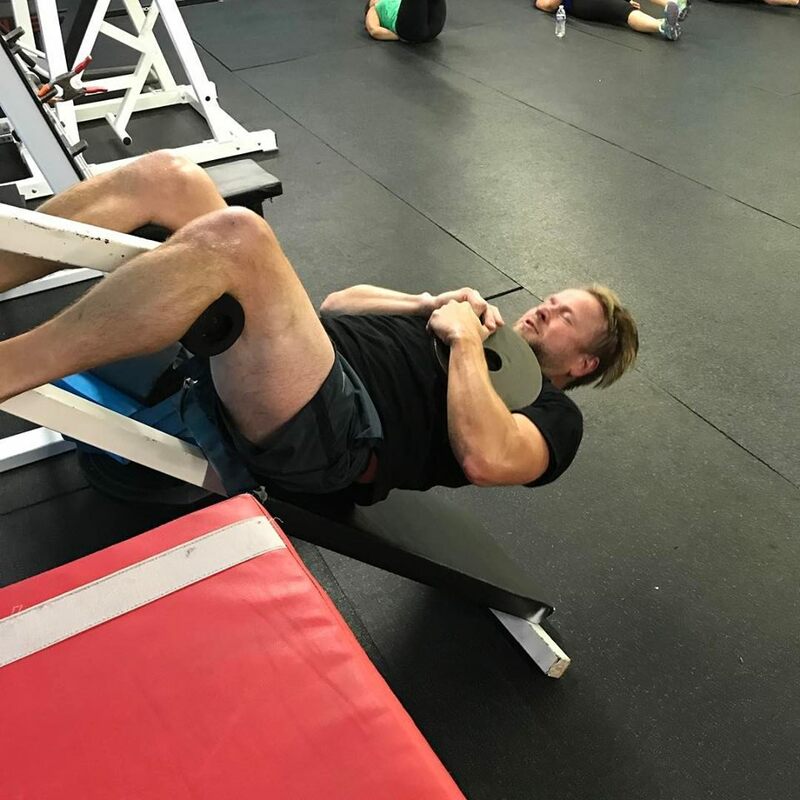 "Everyone is super encouraging to each other and that makes for a fun and effective workout"
I am new to Ironcore; I've only been going for about 5 weeks. From the very first class I was welcomed and made to feel comfortable. Everyone is super encouraging to each other and that makes for a fun and effective workout. There is accountability from the group and from Kris My body is changing already and I love seeing myself get stronger. "I have MS and a locked shoulder. In less then two weeks I was lifting my arm higher then I have in years"
I need to share this. My story I'm sure is very typical. I have MS and a locked shoulder. At least that's what I had when I started at Iron Core. I met with Kris. In less then two weeks I was lifting my arm higher then I have in years. Kris took a chance on me. In the past other Trainers have turned me down and were afraid to help me. But Kris never hesitated. I have never felt more accepted and welcomed as I have at Iron Core. I can never Thank You enough for all the help and kindness all of you have shown me. 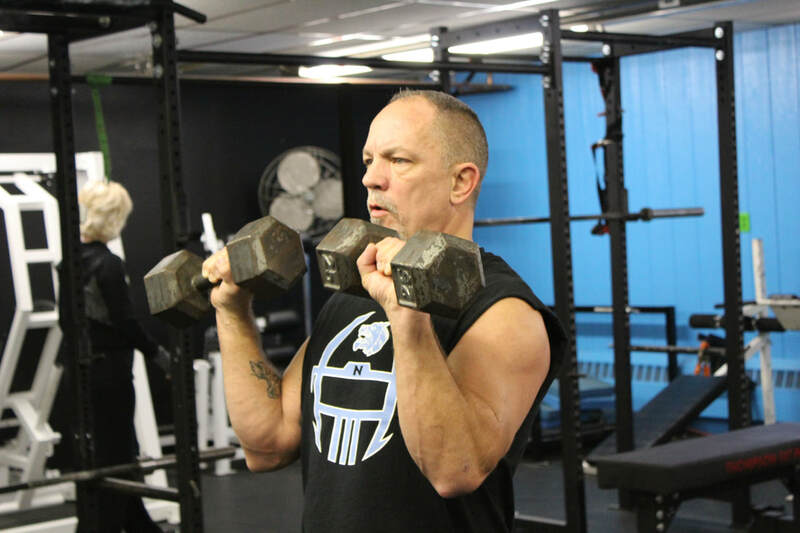 "I feel better, I have more energy, and I carry myself better"
"I am excited to say I have lost over 5" since I started at Iron Core Athlete"
When I joined Iron Core Athlete a little over a month ago. I was debating between joining a "gym" or signing up with Iron Core. Iron Core was the only place my 10 year old son could join as well. Within a week we were so happy we had joined Iron Core Athlete! I was making time to workout on my own everyday after work. Found so many accountability partners with other members of Iron Core Athlete! I am excited to say I have lost over 5" since I started at Iron Core Athlete! My son has lost 5 lbs since he started! 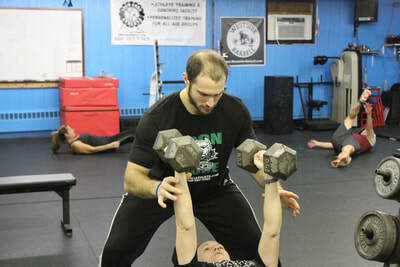 We are so happy with our progress and support we get from Iron Core Athlete! "The program hits all the major muscle groups and cardio a busy adult needs." Here is my testimonial....The adult fitness group setting is a great way to stay motivated with fitness. As a Police Officer and busy family life it fits my needs. The program hits all the major muscle groups and cardio a busy adult needs. It's important for my job and I feel more energetic and fit for work. Thanks Kris for bringing the adult fitness to the Slatebelt! My 11 year old daughter also enjoyed the youth groups, which helped her with her behind the plate catching duties in softball! 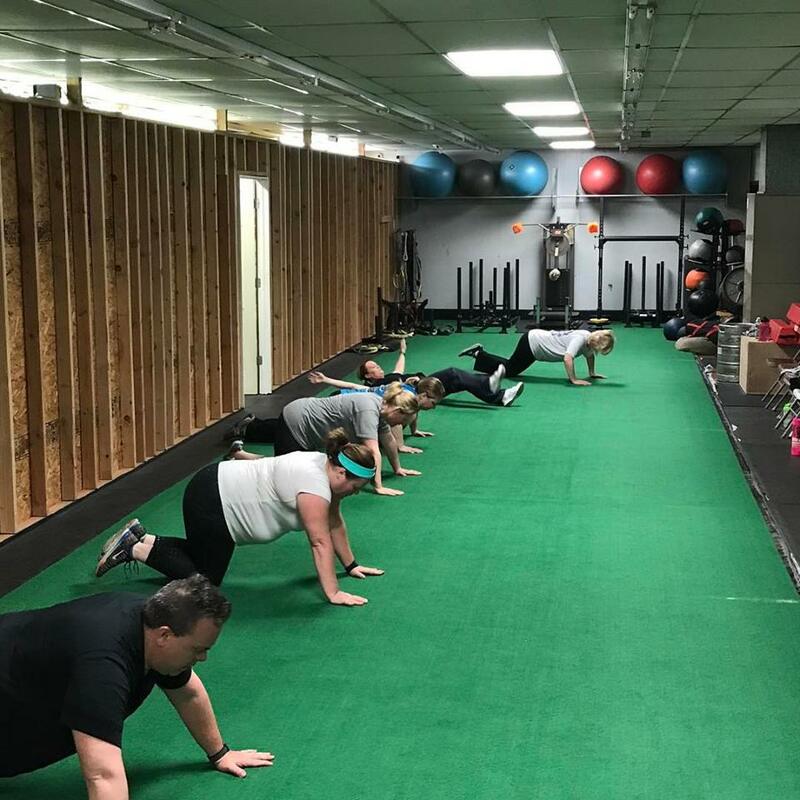 "I really like the support and the variety of excercise , training and help with changing to a healthier lifestyle that they offered "
In January I signed up for Iron Core athletes 21day program . I had been looking for a program that I would stick with and would help me build some muscle and loose some weight . I liked that it was a 21 day program which gave many classes to try and experiance . I dont like programs that give you 1 free class before you join . I need to be sure that it is a program that I will like and will stick with . During the 3 weeks I tried the adult cardio and the adult fitness classes . I really like the support and the variety of excercise , training and help with changing to a healthier lifestyle that they offered . In the begining I started at 5-10 lb weights and within a few weeks were up to 10-20 lb weights .Before I started There were a pair of jeans I could not wear ,to tight to get on ,after the 3 weeks I could wear them and they are comfortable to wear . I have since joined and look forward to getting even more stronger and healthier with the help and support of all the great instructors . "I've lost inches and pounds, but most importantly, I feel that I am headed in the right direction and making healthy decisions for the long run"
I joined Iron Core because I wanted to get back into shape. I was tired of gimmicks and yo yo diets and workouts that weren't keeping me focused or holding my interest. I started at Iron Core and I found that the workouts were a challenge, but that I was really feeling accomplished and proud of what I could do. The trainers are supportive and encouraging, but tough. They give me the extra push to keep going. 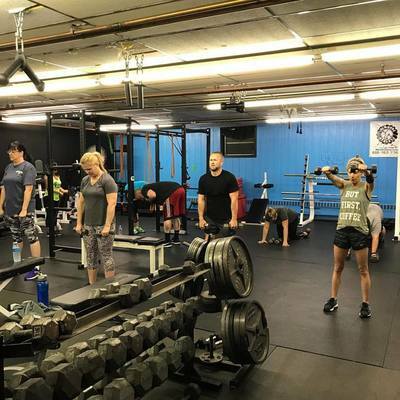 The best part of Iron core is the group of people in the classes. They are always there to pick you up and get you back on track. No one makes you feel bad because you can't do something particularly well. There are people of all different fitness levels working on bettering themselves and it's so encouraging and inspiring to be a part of it. "I feel so much better and have so much more energy"
When I started back in Jun I had some reservations. Was this really for me/can I even do this? But since I've started I actually look forward to going to the gym. There are such a good group of people and make working out fun again! I'm not only beginning to see a difference in the way my clothes fit and seeing some definition but so are other people in just 3 months of going. I feel so much better and have so much more energy. I look forward to seeing the continued transformation! "Everyone helps and pushes one another so much that you can't help but feel motivated"
For months I watched pictures being posted of others at Iron Core and it had always peaked my curiosity. I finally took the leap and joined when they offered the 21 Day Get Fit program. If you, too, are on the fence, I encourage you to just go for it. 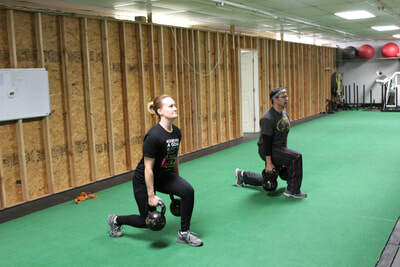 What you'll find is a group of people at various stages in their fitness journey. Some older, some younger, some beginner, some advanced, some larger, some smaller... all are welcome... and you'll feel comfortable from the moment you step through the door. Everyone helps and pushes one another so much that you can't help but feel motivated. You may not see the pounds drop immediately, but you will feel stronger and more energized, and eventually you will get to where you want to be. 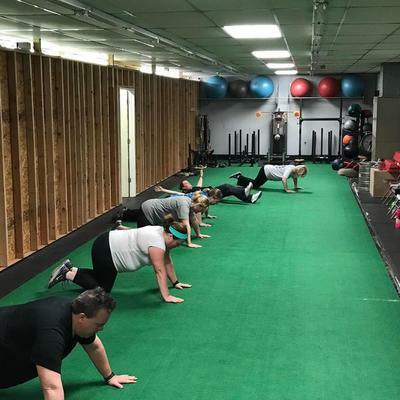 The owners and coaches/trainers are experts in their field, and every week they set up unique and challenging exercises for all. They always help when needed are there to answer any questions you may have. It's a fun and supportive bunch, and once you start, you'll miss it if you don't go. 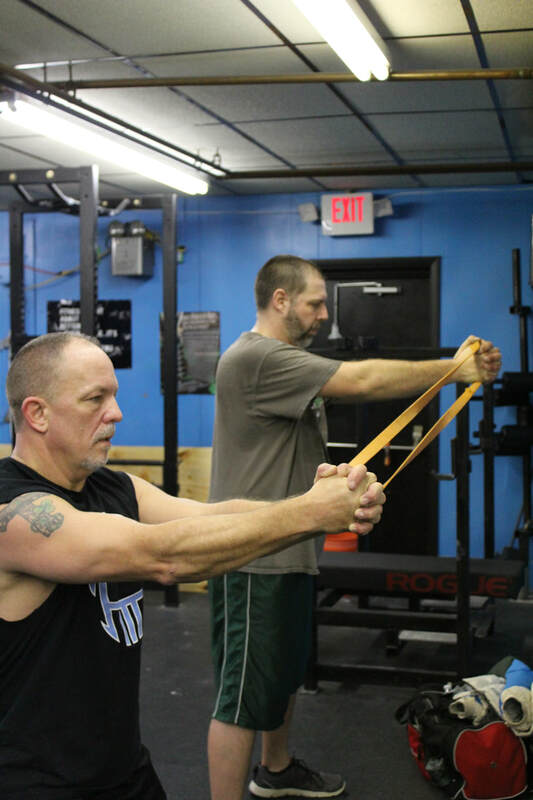 They've created a community to assist with both nutrition and exercise and activities outside of the gym. So don't just sit back and wonder if you could do it... give Iron Core a chance and check them out today before another month goes by. You'll be inspired. "Iron Core has definitely helped me get on the right track to achieve my goals and hold me accountable. " I started Iron Core with the 21 day jump start because I was ready to make some positive changes and wasn't really motivated in a typical gym environment. During my first session at Iron Core, I knew it was right for me. The environment is is amazing - everyone from the participants to the trainers are very encouraging and understand that everyone is at a different level in their training. Everyone is willing to step up and help or offer some positive reinforcement. 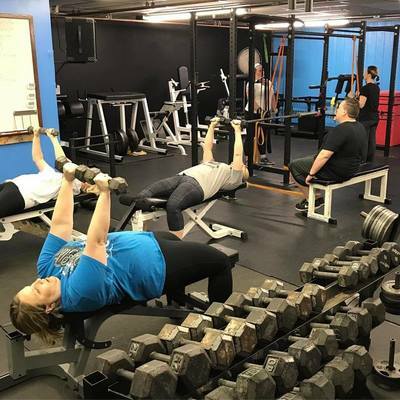 For me, it wasn't about losing pounds as much as it was about getting shape and feeling better overall, and Iron Core has definitely helped me get on the right track to achieve my goals and hold me accountable. READY TO START MY JOURNEY!!! !